"Samurai Song" by Robert Pinsky is the Songs of Eretz Poem of the Day for March 24, 2014. A link to the poem may be found here: http://www.poemhunter.com/poem/samurai-song/. 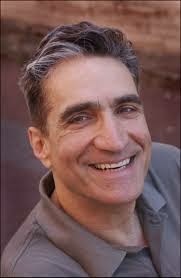 Robert Pinsky (b. 1940) (pictured) teaches in the graduate writing program at Boston University. He served as Poet Laureate of the United States from 1997 - 2000 and as a Chancellor of the Academy of American Poets from 2004 - 2010. Additional biographical information may be found here: http://www.poets.org/poet.php/prmPID/200. "Samurai Song" is organized as seven tercets, clearly a nod to the short Japanese forms. Pinsky uses anaphora, opening each tercet save the last with "When I had no…." This creates a relentless, song-like, rhythmic quality. The moral lessons, although nominally of Japanese and pagan origin, sing true in a European and Judeo-Christian context--I daresay Stephen Covey would approve. 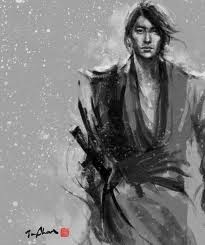 The final stanza, which deviates from the others by placing the anaphora phrase in the middle rather than at the opening, describes the overall philosophy of life that the Samurai follows and that, by implication, the reader should consider following, or at least admire. The final example shows that this philosophy may be applied to control one of the most passionate and difficult human dilemmas--the need for a lover.